Jazz Thing, our new feature bringing to the fore modern jazz artists you need to check out. The unsung heroes pushing forth this music called jazz in search of new land. As Guru from Gang Starr once said, ‘This music ain’t dead, so don’t be misled, by those who said that jazz was on it’s deathbed’. 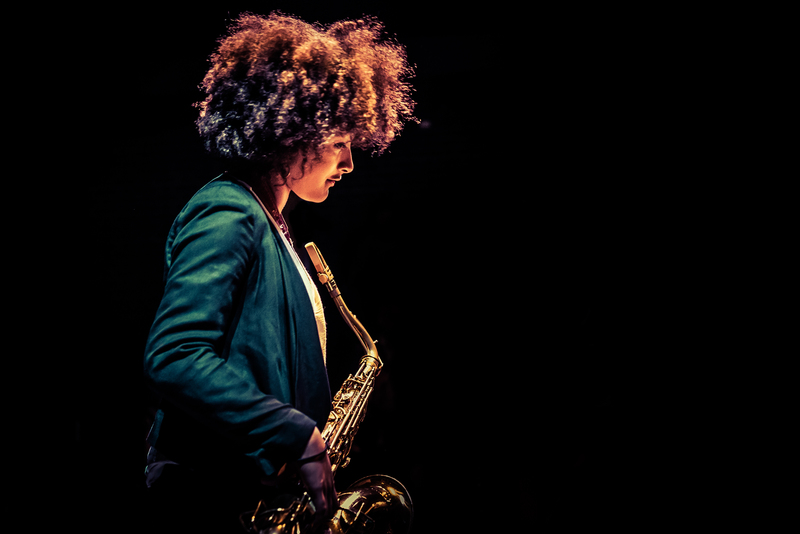 London-based saxophonist and composer, Nubya Garcia, is part of a new wave of jazz artists in the resurgent London Jazz scene. Drawing from her Afro-Caribbean roots, her blend of soulful groove-driven Jazz shines through in her work with established drummer Moses Boyd, Jungle producer Congo Natty and as part of the groups, Maisha, and Nérija septet. Recently graduated from Trinity Laban Conservatoire of Music and Dance and nominated for Breakthrough Act of the Year at this year’s Jazz FM Awards. Nubya looks set to be a new leader of the Jazz renaissance having also released her first debut recording project, Nubya’s 5ive in May. Modern modal Soul-Jazz with a strong backbeat that brings to mind a boom bap feel. The influence of John Coltrane’s early modal work is strong in her saxophone phrases and yet retains a modern feel going much freer in her solos. Her debut also features a few of her favourite collaborators like Moses Boyd on drums, Sheila Maurice-Grey on trumpet and Theon Cross on tuba. Winners of the Jazz Newcomer Parliamentary Jazz Award 2017 and Jazz FM Breakthrough Act of the Year 2016 nominees, Nérija are a collective of London-based musicians playing captivating original music influenced by Jazz, Hip Hop, Afrobeat and South African Township. Featuring an all female line-up representative of the up-coming London jazz scene, the septet features Sheila Maurice-Grey on trumpet, Cassie Kinoshi on alto saxophone, Nubya Garcia on tenor saxophone, Rosie Turton on trombone, Shirley Tetteh on guitar, Inga Eichler on bass and Lizy Exell on drums. Within just five tracks the band stretches far and wide showcasing the deeps reaches of their inspirations. From the more contemporary ‘Pinkham V’ to Hi-Life inspired ‘Valleys’ and Caribbean island vibing ‘The Fisherman’. Maisha is a London-based ensemble led by drummer Jake Long playing a style of Spiritual Jazz influenced by Alice Coltrane and Pharaoh Sanders, with West African and Afrobeat rhythms. The band’s line-up consists of Jake Long on drums, Nubya Garcia on sax and flute, Shirley Tetteh on guitar, Amane Suganami on keys, Twm Dylan on double bass and Tim Doyle on percussions. Recorded live at South London arts event Good Evening/Royal Albert, the tracks radiate with a strong spiritual energy that would make the Coltranes proud. The intensity of the musicians’ every beat and note is felt as it pushes through with its afro-rhythmic groove. The entire EP, it’s only three tracks! And that’s it for this week’s edition of Jazz Thing, stay tuned for the next!